Last month, many of you joined us for a 21-day prayer and fasting journey. We did this because we wanted to dedicate the Alliance to the Lord, seek His face, and ask Him to use us mightily to do great works of justice and mercy in 2019. I woke up one morning, during the fast, with the words of Daniel 11:32 ringing in my head, “the people who know their God shall be strong, and do exploits.” Another translation puts it this way, “the people who know their God shall stand firm and take action.” I was so excited and invigorated by this phrase and have been praying it over the Freedom Church Alliance ever since. As I began to research this passage, I learned that this prophecy was fulfilled in part by the Maccabees, who were a small band of devoted God-followers, who attacked and defeated the forces of Antiochus Epiphanies over and over again. Antiochus was a God-hater who desecrated the holy temple of God. He even went so far as to sacrifice a pig to Zeus on the altar in the temple. The Maccabees took action leading to many victories, and their exploits became legendary. “And what more shall I say? I do not have time to tell about Gideon, Barak, Samson and Jephthah, about David and Samuel and the prophets, who through faith conquered kingdoms, administered justice, and gained what was promised; who shut the mouths of lions, quenched the fury of the flames, and escaped the edge of the sword; whose weakness was turned to strength; and who became powerful in battle and routed foreign armies” (Hebrews 11:32-34). Daniel 11:32 teaches us that the knowledge of God combined with the strength that comes from God is the most powerful and enduring force against the evil in the world. As believers, when we see what is sacred to God desecrated all around us, we cannot just sit idly by. The great preacher Charles Spurgeon once said: A church that does not exist to reclaim heathenism, to fight evil, to destroy error, to put down falsehood, a church that does not exist to take the side of the poor, to denounce injustice and to hold up righteousness, is a church that has no right to be. Not for yourself, O church, do you exist, any more than Christ existed for Himself. And so, may our fight against human trafficking and our zeal to see every soul set free be tied to the wonderful knowledge that our God is a strong Redeemer who fights for the vulnerable and the powerless. May we stand in awe of His wisdom and love the light and goodness that emanates from His holiness. May we love His Word and stand firm on His truth – declaring it boldly. May we listen and obey as He commands us to “Provide justice for the needy and fatherless; uphold the rights of the oppressed and the destitute. Rescue the poor and needy; save them from the power of the wicked” (Ps. 82:3-4). May we be like the great heroes in the faith and walk by faith and not by sight (2 Cor. 5:7).  Many have asked, “Why the Freedom Church Alliance?” My reply is, because The Church has a unique role to play in the fight against human trafficking and all of the many issues connected to it. There is a blessing and power that comes upon us as we unite and stand shoulder to shoulder. Individually it is up to each one of us to pray, abide and make war with our own sin. We cannot give the enemy a foothold. When the individual parts of the body are healthy, then the whole will be healthy. As we seek the Lord, He will show us, through His Spirit, how to use what’s in our hand (our gifts, talents, influence, resources) to strike a blow against this evil. Our courage in the face of incredible odds and the rising tide of wickedness will come from knowing our God intimately. Not just knowing about Him, but living in relationship with Him and experiencing Him in the day to day. These are exciting days! I believe 2019 will be a year of many mighty exploits being done by God’s people for the Kingdom of God. I’m so grateful to be part of God’s family and His unfolding story in the world. I’m so glad we’re all in this together!